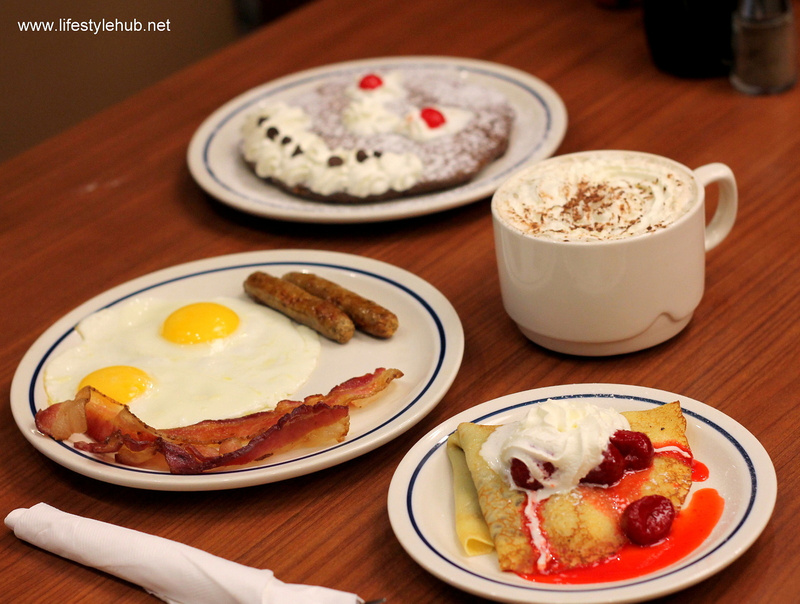 Ever wonder why our favorite pancake place is named IHOP? It's an abbreviation for International House of Pancakes but they don't mind if you think it's about "hopping with joy" after tasting their amazing selection of breakfast delights. 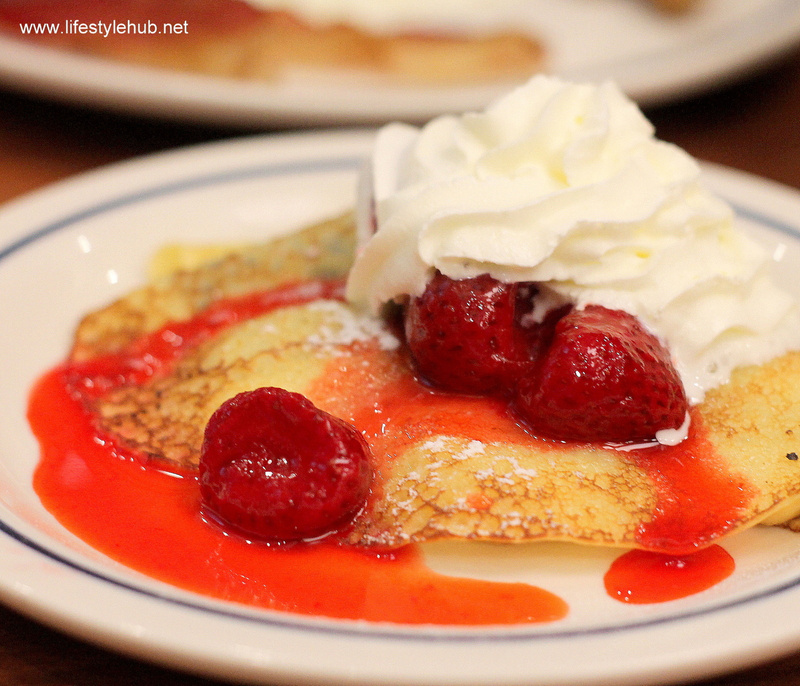 It took me three visits to IHOP before I decided to blog about them. This US-based restaurant first opened in Bonifacio Global City here in the Philippines and they also have a branch in Century Mall in Makati. 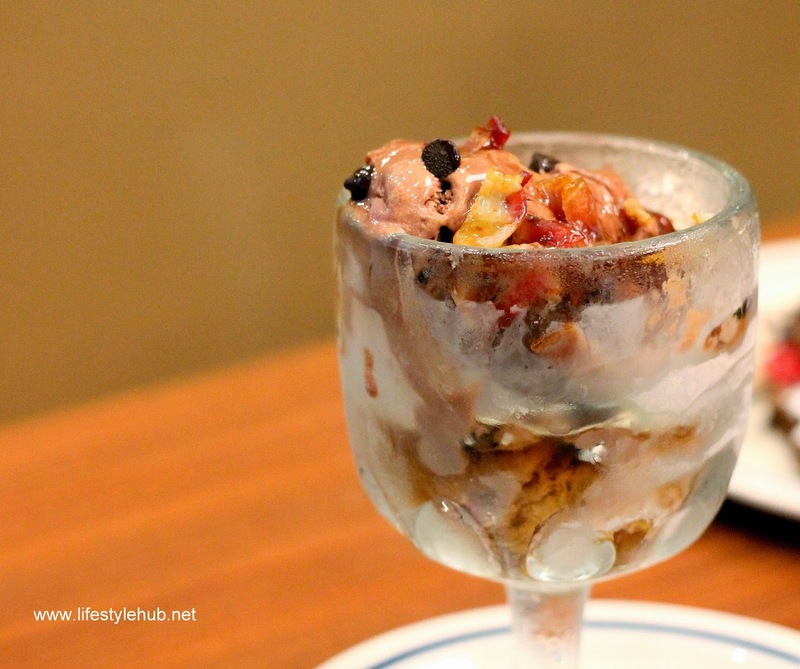 However, the most memorable dining experience I have is at their store in Mall of Asia. It was a very long day both for me and my partner and we were looking for great food to help us put all the stress away. 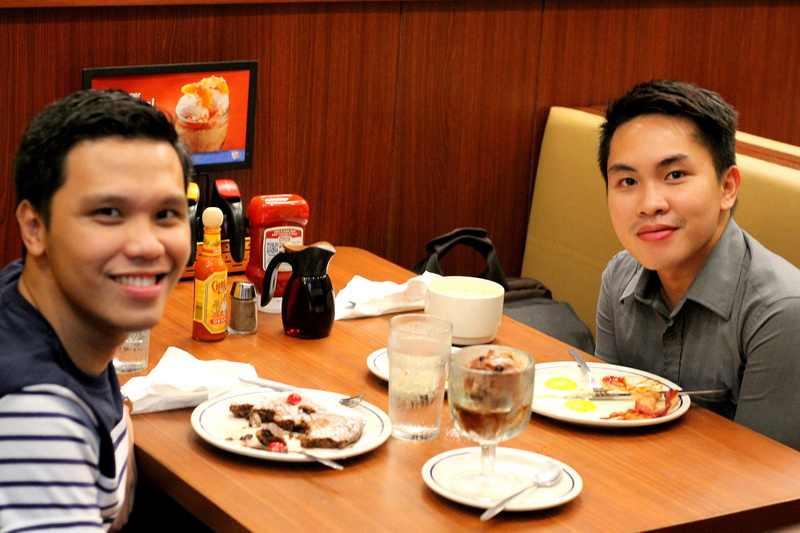 It was already 10:30PM and IHOP is among the only restaurants left open at the Manila Bay side of MOA. We were having a hard time on what to get from the menu. After having several changes of which to order, their awesome crew still had smiles on their faces. Since their shift is about to end, I know they had a long day too but we still got a very excellent service. 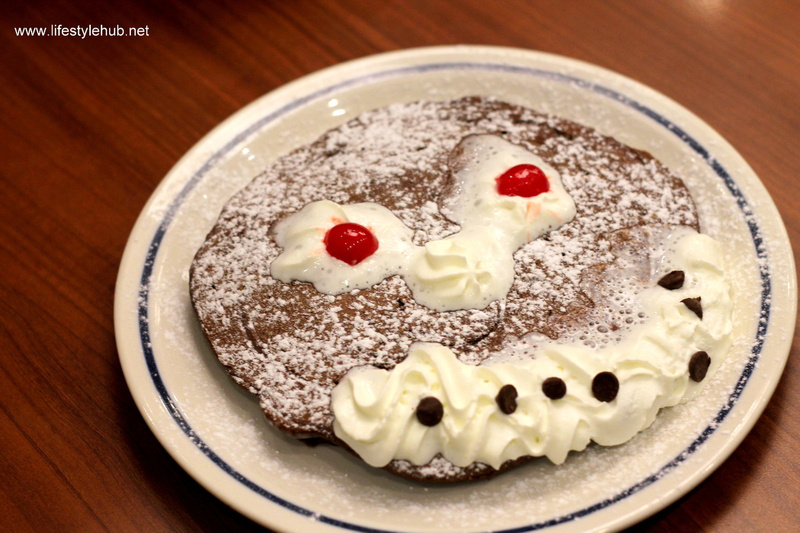 So, how did our busy day end into a fun, late night pancake party? I have the photos below. Putting the stress down the drain is the New York Cheesecake Pancake. A stack of fluffy buttermilk pancakes loaded with rich cheesecake pieces and crowned with cool strawberries, powdered sugar and whipped topping. Now, we are ready for a smile! A chocolate chip pancake with whipped topping and strawberries to remind us that we need to smile after a very productive day. 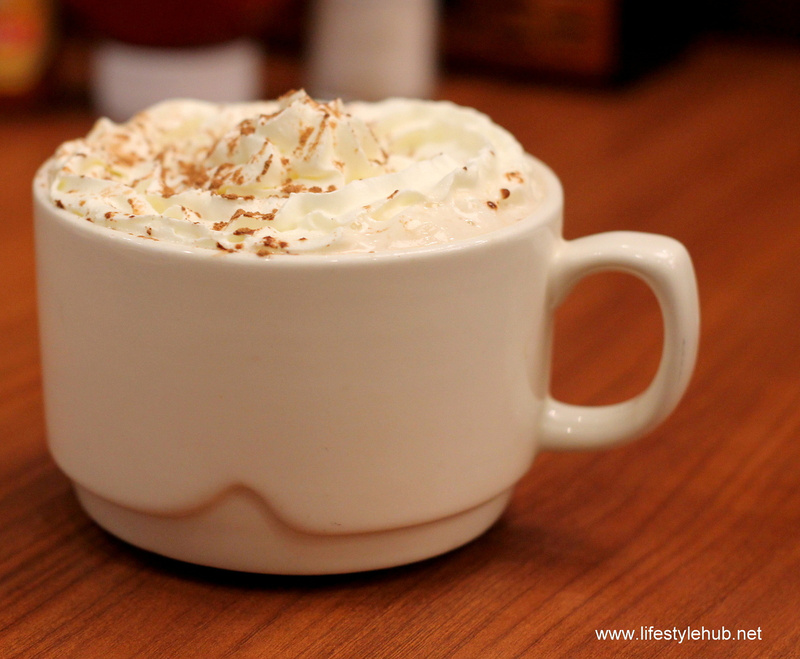 Our sugar rush continues with an International House Roast flavored coffee. Ladies and gents, this is Swiss Mocha. And to complete the night is the Chocolate Decadence. 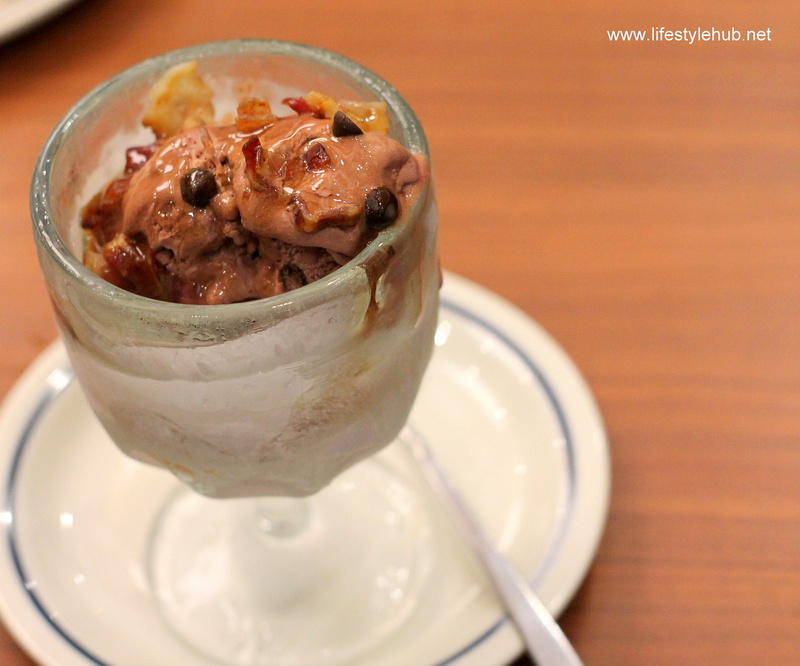 Butter pecan syrup, dark and white chocolate chips and maple-candied bacon. Still filling hungry, we ordered the International Crepe Passport Combo which includes two bacon strips, pork sausage, two eggs sunny side up and the Strawberry Banana Danish Fruits Crepe. Yum!